Episode 280 – Surprise, Iris! Hello storytelling fans! We’re back with some science fiction and comedy. 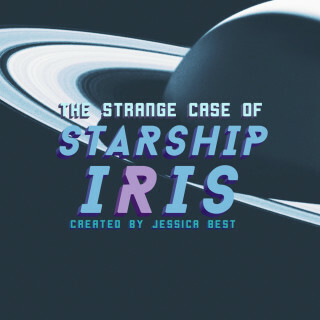 This show, we welcome Jessica Best and the rest of the cast and crew of The Strange Case of Starship Iris. In a future where intergalactic war has come to an end two years prior, a mysterious explosion kills nearly the entire crew of Starship Iris. It’s lone survivor, still aboard the ship, is left to confront her options and possibilities for survival. Why did this happen, and what will become of her and her research? After that, IABDRH is back with a new Packer and Ratcliff tale to celebration their 3rd Anniversary show! A big congratulations to the cast and crew of It’s All Been Done Radio Hour, and here’s to many more years of live radio drama to come! This episode is chock-full of stories, so start listening!